… And don’t make that face as if you’re sorry! 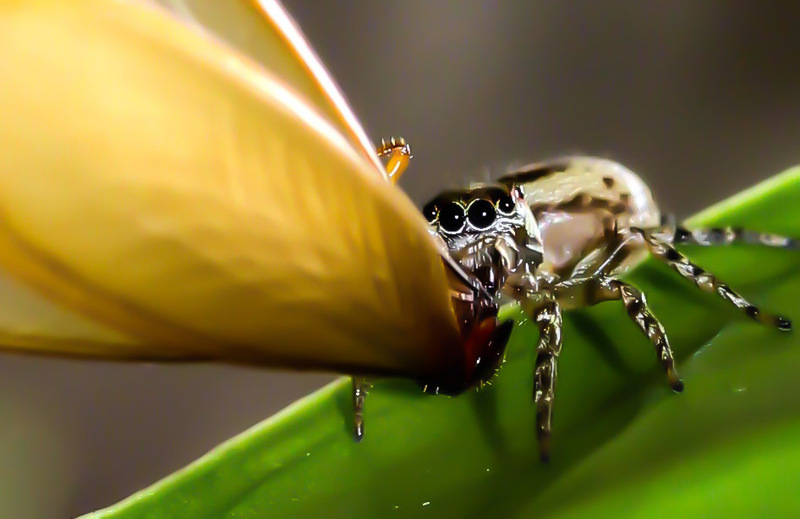 Another fabulous macro set, but spiders sooooo creep me out! 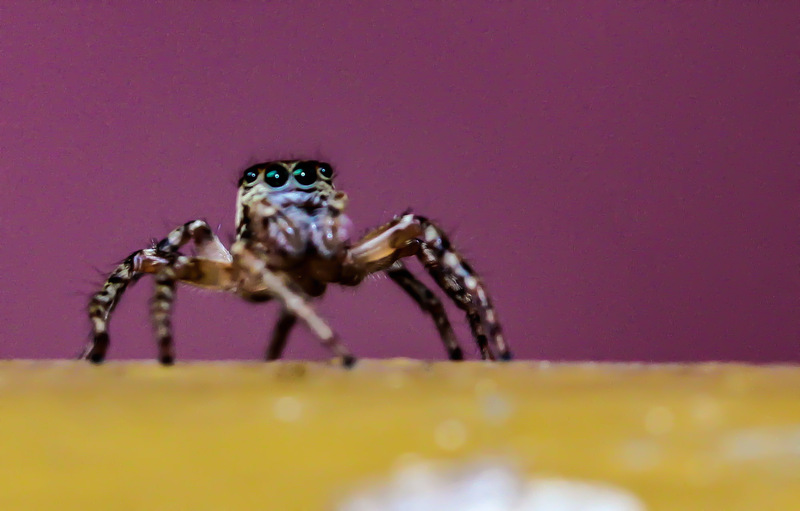 Those eyes – creepy! He is just copying Puss in Boot’s eyes to get sympathy! He is guilty! Ombudsman has ruled that he be suspended from making webs for six months!